Last week, we gathered with hundreds of Jews and allies in Boston to mourn, rage, and heal. We expressed our sorrow at the devastating loss of thirteen lives at the hands of white supremacy and antisemitism. We co-hosted gatherings throughout the week -- a community vigil with 100 people, small dinners across the city for people to build relationships, an action at the Holocaust Memorial with hundreds of people to publicly declare Safety in Solidarity, and finally a shabes to rest and re-connect. We gathered at the Holocaust Memorial for a reason. As Jews, we've seen this kind of fascism before. And when we say never again, we mean never again, for anyone. Representatives from five of our ally organizations spoke on Thursday, and all shared the same message - You Are Not Alone, We Are With You. Though leaden skies may be concealing days of blue. Beneath our tread the earth shall tremble: We Are Here!" When we say We Are Here, we mean that, like our ancestors before us, when we're threatened by white supremacy, antisemitism, fascism and violence, we show up. And, we continue to boldly envision a community where Jews are safe because everyone is safe. Where Jewish safety does not justify surveillance of, violence against, policing of, or oppression of any other people, but instead is founded on powerful allyship and mutual support. On Sunday, as our teens went out to canvass for #YesOn3 to uphold transgender rights and protections, they boldly demonstrated We Are Here. As I was coordinating logistics for the week of actions, asking people to open up their homes for gatherings, cook food for complete strangers, facilitate a ritual, lead a song - it was clear that We Are Here. Today - we headed to the polls vote (and if you haven't cast your ballot yet - you have until 8 PM to do so!). Thank you to all of our members who have traveled across the country to get out the vote - canvassing in swing districts, knocking on doors, and making phone calls here at home. We know voting is a privilege, an act of resistance, an act of resilience, and another powerful way to say We Are Here. Tomorrow, our work carries on, as you can see in our jam-packed calendar of eventsbelow, and regardless of the election outcomes - We'll Still Be Here. Sunday, Nov. 11, 10:30 AM @ 50 Druce St.
Back by popular demand, this fall we will host a series of facilitated discussion groups on growing older, with opportunities for personal sharing and reflection. Learn more. 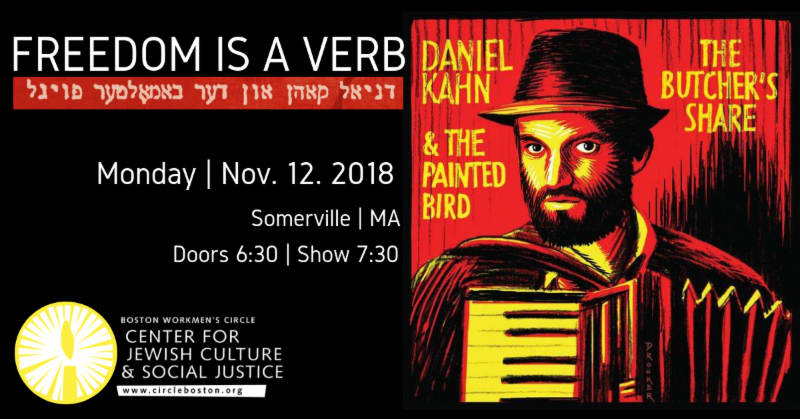 Daniel Kahn & The Painted Bird -- AKA the "radical Yiddish borderland bandits"--return to the road and are COMING TO BOSTON with their new record, "The Butchers Share." Hannah Temple, cofounder of the rad-trad Bessarabian Roots Band Tsibele, will also be joining this show! Learn more. This four-part series, facilitated by Hayat Imam, offers a Muslim woman's perspective on the essence of Islam, the diversity of the Muslim world, and its relationship with the West. Learn more. BosCops is working to demand transparency and control over ways the Boston police watch, record, track & share information about targeted communities. Join us for a presentation by the BosCops Collective on police surveillance of marginalized communities, and to learn how allies can support this critical work. Learn more. Join us for a communal potluck, shabes ritual, and group singing! This is a great way to learn old and new songs in both English & Yiddish, build new relationships, and have fun! Learn more. Join us for our monthly book group, with bagels, coffee and socializing. This is an open group that welcomes all readers interested in expanding their understanding of the wide variety of Jewish experiences throughout history and across the world. Learn more. The Yiddish reading group is beginning the new year with reading and translating Joseph Opatoshu's "Der Mishpet", a previously-untranslated, long short story. Learn more. Meet up with fellow Yiddish-speaking young adults to share a meal, have a game night, play music, or just redn a yidish vort (speak a little Yiddish). Join the Immigrant Justice and Sanctuary (IJS) Working Group at our monthly meeting! Learn more. BROOKLINE: Monday, Nov. 19th, 7:30-9:30 PM. 1731 Beacon Street, #319, Brookline. Drop in for this informal monthly gathering to learn and sing Yiddish folk songs. Songbooks provided. All are welcome, regardless of singing ability or knowledge of Yiddish. Learn more. Acting for Racial and Economic Justice (AFREJ) works for racial and economic justice in the BWC community, the Jewish community, and the Boston community at-large. Join us for our monthly meeting to get involved! Learn more. 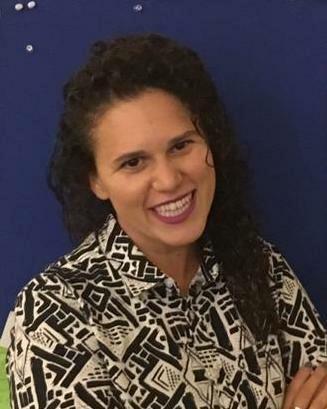 We are sad to share the news that former shule parent and ABV member Randi Friedman passed away. Please join her family in a celebration of Randi's life on Thursday, November 8th at 2 pm, Levine Chapel, 470 Harvard St, Brookline, MA 02446. Email Michelle to post it to the newsletter! Thank you to everyone who held a role and helped make our Shiva: Week of Collective Mourning a success. Thank you to A Besere Velt members who sang at the rally, thank you to our members who graciously opened their homes or cooked food for strangers at the small gatherings. Thank you to everyone who spoke at the vigil and at the action, thank you to everyone who helped to coordinate logistics! Interested in joining a committee? We've got something for everyone with Yiddish, Shabes, Ritual, Adult Ed, Acting for Racial and Economic Justice, Middle East Working Group, Jewish-Muslim Solidarity, Aging in Community, Shule, Young Adults, and Caring. Email Maddy to learn more about our diverse committees!